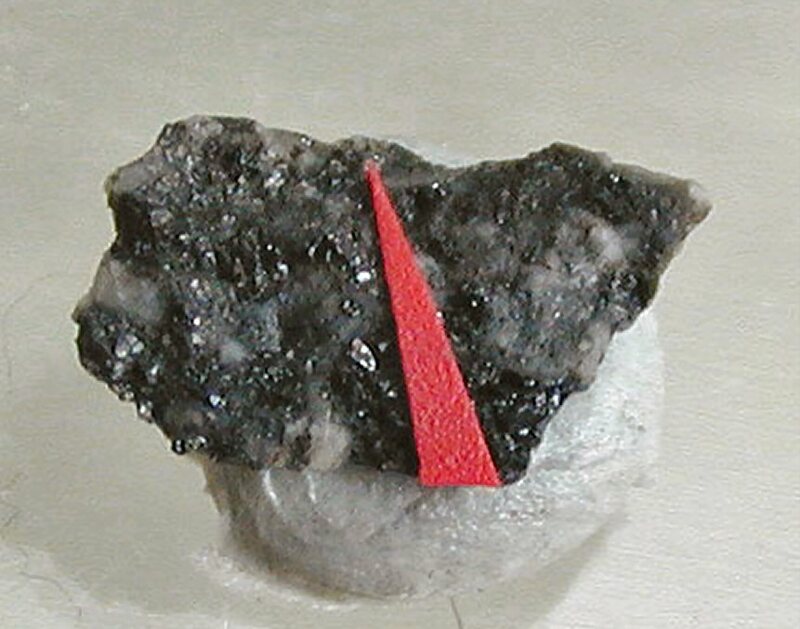 Comments: Black, granular crystals of davidite-(Ce) in matrix. Location: Kukisvumchorr Mt., Khibiny Massif, Kola Peninsula, Russia. Scale: Specimen Size 9x5x5 mm.